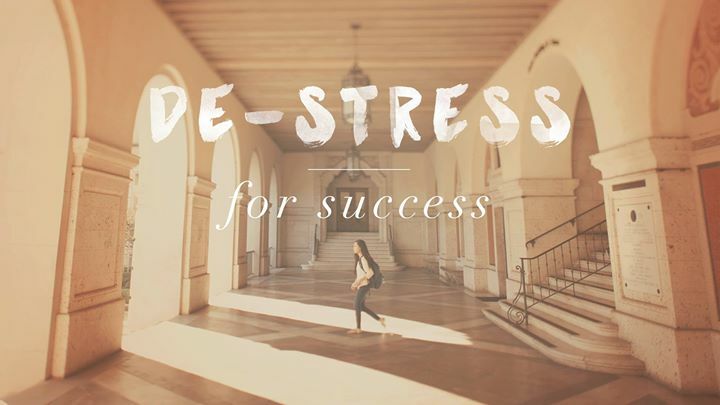 Take a break from studying for finals and join us at the Alumni Center for De-stress for Success! Enjoy FREE pizza and treats, as well as fun, stress-relieving DIY activities to take your mind off of finals—including aromatic heating pads, stress balls, and holiday card making. The event is open to all students, but the first 70 Student Members will also receive a special gift! Swing by, grab some food, hang out with friends, and leave stress free!